A male pedestrian, believed to be in his 30s, was killed when he was struck by a car. GARDAÍ IN SWORDS are renewing their appeal for witnesses after a man was killed in an early morning hit-and-run. The incident happened on Rathbeale Road (R125) in Swords shortly after 1.30am. The road links Swords and Ashbourne, Co Meath. Gardaí say they believe that the man was struck by a vehicle which then left the scene. 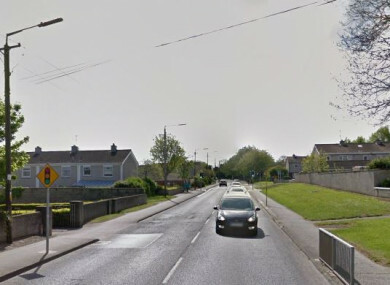 “A pedestrian, a man believed to be in his 30s, was fatally injured when he was struck by a dark-coloured saloon car which failed to remain at the scene,” gardaí said in a statement. This car was driven off in the direction of Ashbourne. The man was pronounced dead at the scene a short time later. Gardaí are now appealing to anybody who was in this area between the hours of 10pm last night and 2am today to make contact with them at Swords Garda Station. They added that several witnesses have come forward and assisted gardaí. Gardaí are particularly interested in any dashcam footage that may be available to assist the investigation. Witnesses are asked to contact the incident room at Swords Garda Station 01 666 4700, the Garda Confidential Telephone Line on 1800 666 111 or any garda station. Email “Renewed appeal after man killed in early morning hit-and-run in Dublin ”. Feedback on “Renewed appeal after man killed in early morning hit-and-run in Dublin ”.